This ADOPTION PUPDATE will give you all the feels! 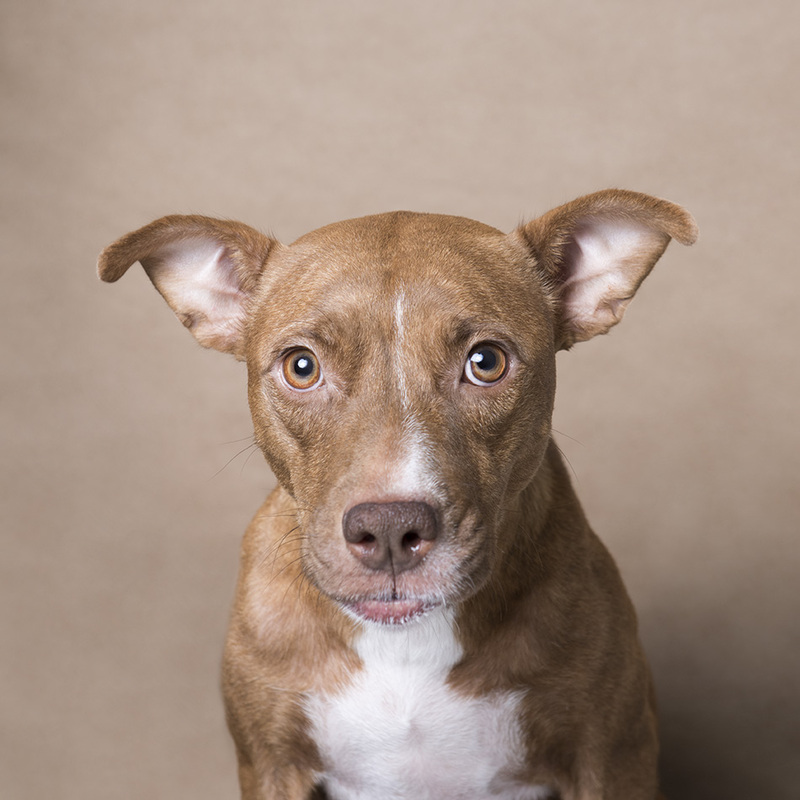 If you own my Pit Bull Flower Power book, you might have noticed a few dogs with a “Still waiting” label next to their photos… Sula was one of them. She and Creasy (who was adopted recently) were seized in a cruelty case 8 years ago. They were held as evidence for a year, and by the time Sula came out of that state of isolation, she was showing OCD behavior (shadow chasing). She was pulled by AZK9 rescue, and even after I photographed her back in 2015, Sula waited and waited. I am beyond happy that not only has Sula found a spectacular forever home after 8 years, but that my #PitBullFlowerPower book was the catalyst for that adoption. That makes me extremely proud, and happy for all involved! 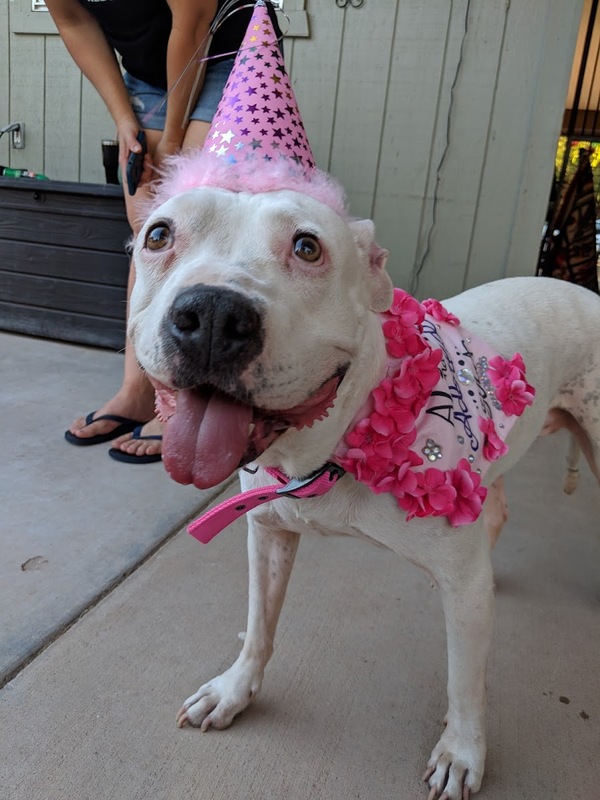 This weekend, the rescue organized a send off party for Sula (check the video on my Instagram post), and all her rescue family showed up, including Creasy. There wasn’t a dry eye at the party! I am not crying, YOU’RE crying!!! I am super excited to present Pit Bull Flower Power in Los Angeles for the first time, thanks to Photoville LA! 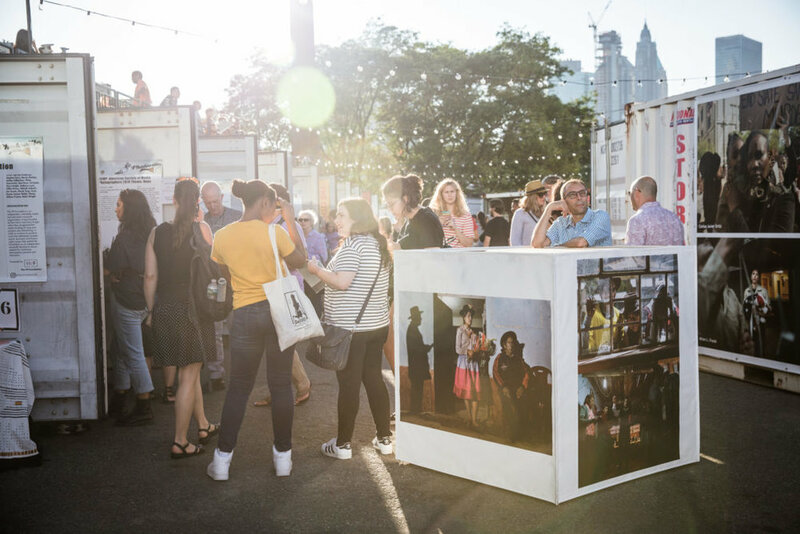 Photoville LA is an awesome photography festival taking place across consecutive weekends: April 26-28 and May 2-5, 2019 outside the Annenberg Space for Photography in Los Angeles. It features over 55 exhibitions in repurposed shipping containers, outdoor photo cubes, banners, and interactive installations. The program includes talks, workshops, night projections, and is always outstanding. My exhibit will be presented on an XL outdoor banner. I will be present on Friday April 26th (6-10pm). Come meet me! The event is free (no dogs). Expanding on Sophie's Flower Power series, this one-day event is an immersive installation that incorporates interactive art, virtual reality and performance. From the anonymous intake photos from shelters, to the soulful Flower Power portraits that celebrate the dogs' individuality, this installation invites the visitor to question the way pit bulls are viewed and treated by society. Dogs are welcome! (but keep in mind that this is an interactive experience). *By entering and by your presence in the exhibit space, you are giving Sophie Gamand and her affiliates your consent to be photographed, filmed and otherwise recorded, and to any use, in any and all media throughout the universe in perpetuity. By Car: Take the Brooklyn Bridge and continue straight until the corner of Bergen Street and Boerum Place. Come meet Sophie for this special one-hour event at her Flower Power exhibit in Austin. The show is up until end of May, and a percentage of the sale will benefit Austin Pets Alive. Here is a round-up of some gift ideas, with many of them having a feel-good component. This holiday season, make your gifts count! Support shelter dogs! REMINDER: if you shop on Amazon for the holidays, remember to shop from the URL www.Smile.Amazon.com, and select a dog rescue or charity of your choice! They will get 0.5% of everything you purchase. Susie's Senior Dogs is a heartwarming book about senior dog rescues, written by my dear friend Erin Stanton. Available in your local book store, or online! Get it on Amazon here. This book is a MUST have for anyone interested in learning more about pit bulls, and how America ended up in the situation we are in. This is the best read I have had in a long time. Every single paragraph is outstanding. Get it on Amazon here. This is the latest book by our friends at Pinups for Pit bulls! They are wonderful advocate of pit bulls. It is designed to help you become a more informed advocate for the fair treatment of these misunderstood dogs. Get it on Amazon here. My Wet Dog book is still available! A compilation of miserable, soggy doggies. Get it on Amazon here. 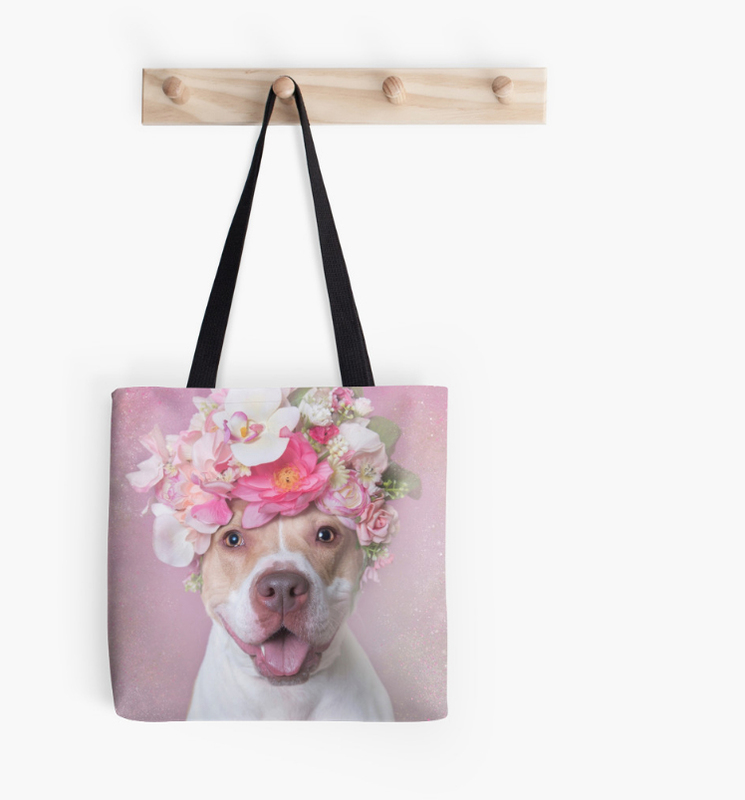 A fabulous, super well made tote sold by our friends at Mr Bones & Co (amazing rescue focusing on pit bulls). They have shirts and a bunch of other things available in their shop! I love this tote bag so much! It's quite large, very sturdy. Plus... all the proceeds are donated to rescue groups! Check out Dewdrop designs in general, they have awesome products. Our friends at Freedom of Animals have a great, luxurious line of vegan handbags. They are huge on animal advocacy and pit bulls in particular :) Visit their website for more! My Flower Power tote bags are an awesome conversation starter! The proceeds from these help me continue my mission! Visit my RedBubble store for more products! I love, love love Mia Loves Jay's pillows!! SO beautiful. Make sure to follow her on Instagram, and visit her website for more goodies! Custom pillows available too. I am in awe of Natalie's art! She does cute illustrations of pets with hand-stitched details. Contact her via her Instagram for custom pieces! I have been using Come Clean's handmade vegan soaps for my foster puppies and I love them! They smell delicious and the little collectible toy trapped in them is always cute. Use code SOPHIE at checkout for 25% off!! Follow them on Instagram and visit their store for more incredibly cute goodies! A few years back I volunteered for The Sato Project, a NY rescue that is dedicated to helping the dogs of Puerto Rico. Back then, Arecibo was a municipal shelter, which name would send chills down the spine of any rescuer on the island. It was considered ground zero, a place of death and even alleged abuse. Fortunately, two years ago the shelter was privatized and became the Centro de Control y Albergue Capitan Correa (follow their Facebook page for recent updates). The new staff is set to making changes for the dogs of Arecibo and they are fantastic. They got some medical equipment donated, built their own surgery table and wet table. They have been smart about their resources, but there is just so much they can do. Things are looking better for this place, but they need our help. The place is still mandated by the municipality to collect strays, and therefore facing great challenges, litters upon litters being brought in every day, as well as strays in rough shape and owner surrenders. With little to no funding, the shelter has opened a vet clinic on-site, which allows them to finance the place through vet services offered to the community (spay and neuter, vaccination...). The rest of the funding comes through the few adoptions they have each month (about 10 to 15 a month) and the municipality mandate they have. As you can imagine, they operate on a very, very thin budget, and this is why we have set up a fundraiser for them. Below is what our goal is, and how we would like to use the money raised. Boom Boom Beckles (RIP), the inspiration behind The Sato Project and this rescue mission. Chrissy of The Sato Project, has a personal connection to the Arecibo shelter. This is where, in 2009, her beloved Boom Boom, the inspiration behind the organization, was rescued: a shivering puppy, trying to find comfort on a damp slab of concrete, and whose siblings all died during their stay at the shelter. Boom Boom passed away unexpectedly a few months ago and Chrissy decided to honor her by pulling dogs from the Arecibo shelter into her rescue program. When she asked me to join, I didn’t hesitate. Boom Boom was like my niece and she will always have a special place in my heart. So we set to visit the Arecibo shelter, and The Sato Project would pull 8 dogs thanks to funds they had raised before the summer. We ended up leaving the place with 11 dogs, many of which would have not made it out alive, despite being great dogs with minor, treatable cosmetic, behavioral or health issues. And the faces we had to leave behind will haunt us. The things we saw and heard in the course of the 3 days we spent there, were horrifying. I cannot imagine what it is like for the staff and volunteers to work there every day. They work hard, but their task is near impossible. Every day, puppies and dogs are pouring in. The euthanasia rate at the shelter is near 85%, and that does not include the dogs who die of natural causes while staying there. We ended up pulling 3 dogs from the adoption center, and 8 dogs from the intake area. Bugsy (rescued) trying to find comfort in her uncomfortable cell. The shelter is divided in two areas: the intake area, and the adoption area. When dogs come in, they spend about 20 days in the intake area where they are assessed medically and behaviorally. Once deemed adoptable, they move to the adoption area. The adoption center of the shelter is actually relatively nice. What struck us the most was the intake area. You expect intake areas to be sad and difficult to stomach. But on top of that, because of their lack of resources the shelter hasn’t had a chance to really improve that part of the shelter. With your help, we can make huge improvements there. As one would expect, the intake area is not opened to the public, but we were granted exclusive access and I am grateful for the trust the staff at the Arecibo's shelter has placed in The Sato Project and I. They opened their doors to us because we made a promise: our goal here is not to shame or criticize. Our goal is to bring awareness and educate. My mission is to show the reality of shelters across the world that operate in impoverished areas, with little to nothing, and face insurmountable challenges (I have officially started a project about this, which you can view here). Because of limited space and resources, the triage at intake is pretty drastic: any dog with an injury, visibly sick, any puppy still nursing but without a mother, any dog who is missing a limb or an eye, any pregnant female, all go straight on the euthanasia list. Imagine puppies pouring in every day, all year around, because people don’t spay and neuter, and because nobody wants to take responsibility for strays. Imagine horribly sick or injured dogs who will die slow and painful deaths, or hopefully quick euthanasia in the arms of someone who cares. This is the daily life at Arecibo’s shelter. They are cleaning up the community’s messes. We all need to take responsibility. These puppies came in the day prior. No lactating mother was found, so they were humanely euthanized shortly after this picture. With your help, we raised money to help improve the intake floor: new fencing, quarantined area for puppies, new tiles an floors…. One side of the intake area: concrete cages. The bottom cages don't have access to natural light or fresh air. The top ones are used for puppies and litters. A broken fence has been temporarily fixed a few times. A puppy is trying to get to us as we do our rounds. Puppies squeezing through the gate of their cage. A dog jumps through a hole in the fence. his leg got stuck briefly in the wire. A dog sits between two kennels, through the hole in the fence that separates them. Puppies being transferred into a bucket. I carried Elliott outside the shelter, into our car, that day. I remember feeling his heart beating so hard in his chest. His frail little body stiffening in my arms as we walked through the loud, smelly, scary kennels. Did he think I was leading him to his death? I remember hanging onto him with all my might, because that little life was all I could save from this place. I kept whispering to him "It's ok, we are leaving, you will never come back here". But the tears running down my face were both for him and for all the others I was leaving behind. They wagged their tails, they barked, trying to get my attention, "take me! take me too!". I couldn't even look at them. No matter how many we save, there will always be more, unless people take responsibility and start being serious about pet ownership. Do no purchase animals when so many perfect ones are dying in shelters. Spay and neuter your pets, because accidental litters are the plague of our shelter system. It's not about being a crazy animal advocate. It's about being a decent human being. MacLovin in his intake cage. Bugsy in her kennel. She was housed with 3 other puppies and seemed shut down. MacLovin safe! He is a cutie! Bugsy safe! She turned out to be a happy-go-lucky girl, and is now learning to trust humans. Bambi, safe with The Sato Project! She was scheduled for euthanasia for being too shy and returned twice by adopters. We named these two Thelma and Louise because they were stuck together like glue, although they didn't arrive together. This beauty made it safe into The Sato Project's rescue program as well. Chantal had been waiting 2 years in the adoption center. Her time was up so The Sato Project took her. She is a sweetheart! Elliot was brought it by Animal Control. He was on the euthanasia list because of a cherry eye. BSL (Breed Specific Legislation) is an outdated, dangerous view of dogs and dog ownership. It targets specific breeds, usually "pit bulls", and other breeds such as German Shepherds, Chows, Rottweilers, etc.. Under BSL, cities, or even countries, ban certain types of dogs, regardless of their individual temperament. BSL was very popular in the 1990s, during the hype against pit bulls. Since then though, it has been proven that BSL is inefficient, expensive, and just plain outdated. Check this article to get some facts and links or visit this website (www.saferkindercommunities.com) for more info. One of the main issue with BSL targeting pit bulls, is that "pit bull" is not a breed. It is an umbrella term that covers any cross-breed of dog who "looks like a pit bull", whatever that means (blocky head, big smile, muscular body...). 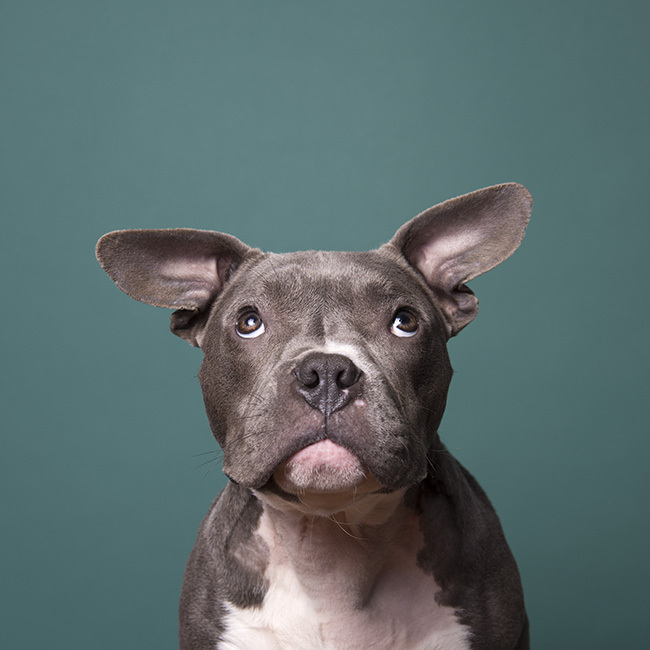 When a dog is caught under BSL, an "expert" will have to determine whether or not that dog looks like it belongs to a certain family of dogs (pits), and therefore, should be seized and euthanized. Depending on the law, the temperament of the dog might not even be taken into consideration. Around the world where BSL applies, families are being broken on a daily basis. We have all come across the stories: dogs being outed by neighbors, cops showing at the door and grabbing the dog. Families are often not allowed to see their dog until an expert decides of the dog's fate and a judge has ruled on the sentence. When the dog is scheduled to be euthanized, families usually do not have the right to see their dog one last time. There are tons of valid resources around the web, coming from eminent organizations, listing the reasons why not only is BSL wrong, since it does not really target the real issue at hand (bad dog owners who raise dangerous dogs, dog abuse leading to accident...); and explaining why BSL does not work (bite rates rarely go down, because not only are bad owners not respecting BSL, if they do, they just simply move to another breed and raise another dangerous dog). As we know, ANY dog can be dangerous, placed in the wrong hands and in the wrong environment. It's all about the owner. Here are some recent cases, with call for action (petitions). Francis the day before he was euthanized, for looking like a pit bull. Photo: Lauren Hurley. The UK has BSL against pit bull-type dogs. A few weeks ago, Francis was found as a stray. Because authorities thought he looked like a pit bull, they considered him a dangerous dog de facto. The shelter that had welcomed him was legally forced to euthanize Francis, despite claiming he was a healthy, friendly dog (read more about Francis' story on this link). ---> ACT! A petition will be submitted to the parliament in the UK, if it reaches 100,000 signatures by December (so far, only 20,000 signatures!). The petition requests that BSL be reviewed or cancelled, and that all dogs be judged by their behavior and temperament, rather than by their supposed breed. This is an essential petition. Please sign it (you need to a be a resident to sign this petition, but you can also use a zip code like CB1 0AD, or any other zip code you may find online). Hank and his "welcome home" cake. Photo: Alan Lewis. The story of Hank, a lab mix seized in Belfast as part of a BSL, shook the world. While his owners were away, Hank was taken from his home by the police, after a neighbor called authorities to denounce the "pit bull". It took a couple of weeks (and many, many signatures on a petition!) for the expert to deem that Hank does not pose a threat to the public, and the judge to agree. Hank went home. Apparently in Northern Ireland, out of 243 dogs seized, only 4 were euthanized in the past. This figure shows that BSL is inadequate, since it broke 240 families for no reason other than the look of their dogs. Sure, the dogs were not killed, but what about the traumatic experience for the dogs and their families? BSL is not the way to go and the laws fighting Dangerous Dogs should be updated. Hank's family has set up a Facebook page where they share ways to help fight BSL in NI. ---> ACT! You can help Northern Ireland fight BSL by signing this petition. It will be presented to the Northern Ireland Assembly. They still need about 9,000 signatures (out of 25,000). Montreal is facing the possibility of a BSL (both at the municipal and provincial levels). Decision will take place in September. Thank you to our friends Pinups for Pitbulls for compiling the below info! 1- Visit www.saferkindercommunities.com, a website compiled by the SPCA of Montreal, to learn more about BSL and how it affects communities. On that website, there is a petition, including a letter to the Mayor that can be automatically sent on your behalf. 2- You can sign this petition stating you will boycott Montreal if BSL is implemented. 5- You can write (stay polite please) to the the following two people. Feel free to attach one of my #PItBullFlowerPower images to your email! For example, highlight these two concepts: BSL is contradictory, doesn't work, hurts good families, and many cities around the US are reversing their BSL after it's been proven it does not work; and you will boycott Montreal if the BSL is passed. The vote will take place in September so do not wait to send in your email. Writing in English is OK.
Je vous écris au sujet de la proposition de loi sur les chiens dangereux pour Montréal. J’ai toujours pensé que les pitbulls étaient des chiens dangereux, et qu’ils devaient être interdits dans nos communautés. Il y a deux ans, après avoir rencontré plusieurs pitbulls très gentils, très bien élevés, j’ai souhaité me faire ma propre opinion sur ces chiens, au travers d’une série photographique intitulé Flower Power. Ces deux dernières années, j’ai photographié environ 500 pit bulls dans de nombreux refuges des Etats-Unis, plaçant des couronnes de fleurs sur leurs têtes. Je peux vous affirmer ceci: pas un seul d’entre eux n’était dangereux, malgré des passés parfois difficiles (chiens victimes des pires abus de la part de leurs propriétaires). Presque tous ont été adoptés depuis et vivent en harmonie et sécurité avec des enfants, des chiens, des chats, etc. J’ai lu la proposition de loi avec attention, et dois vous dire cher Monsieur, avec tout le respect que je vous dois, que vous vous trompez de combat sur plusieurs points. - tous les experts s’accordent à dire que les lois sur les races spécifiques ne fonctionnent pas, et coûtent énormément d’argent aux municipalités. Cette loi telle qu’elle est proposée sera la honte de Montréal. Elle met en péril des décennies de travail pour créer des sociétés plus humaines, plus respectueuses de nos amis les animaux, plus responsables aussi. - Cette loi s’apprête à traumatiser et briser des familles honnêtes, vos concitoyens, respectueux des lois et qui n’ont rien fait de mal. Cette loi s’apprête à les mettre aux bancs de la société en les montrant du doigt, comme s’ils avaient commis un crime, pour le simple fait qu’ils ont un chien qui « ressemble » à un pitbull. - D’ailleurs, où tracer la ligne entre un « pitbull » et un chien mixte qui y ressemble vaguement? Qui sera en charge d’en décider? Si des citoyens peuvent dénoncer leurs voisins, comment espérer qu'ils sachent de quoi ils parlent, alors même que les experts se trompent régulièrement? Voyez cette étude du Journal Vétérinaire par example, qui a démontré, en utilisant des tests ADN, que la grande majorité des « pitbulls » des refuges ne sont en fait pas des pitbulls du tout. Les professionnels avaient identifié 52% de leurs chiens comme étant des pitbulls, alors que les tests ADN démontrent que seuls 21% d’entre eux avaient vraiment du « type pitbull » en eux! Regardez ce site Internet, qui propose une liste de photos et invite le visiteur à retrouver le pitbull. En êtes-vous capable? Votre expert le sera-t-il? Tout ceci signifie que des familles vont devoir se soumettre à vos règles, alors même que leur chien n’est pas un pitbull du tout! - Cette loi sera aussi la cause d’un gigantesque carnage, l’euthanasie de nombreux chiens complément innocents et inoffensifs, des chiens qui vont atterrir dans vos refuges sans nulle part où aller. Plus personne ne voudra adopter des chiens qui ressemblent vaguement a un pitbull, meme s’ils n’ont rien à voir avec ce type de races. Nous attendons plus de nos sociétés contemporaines. - Enfin, cette loi a tout d’une loi raciste et obscurantiste. Comment justifier le ban de certains chiens, sur leur seule apparence physique? Depuis les années 1980, « pitbull » était devenu synonyme de « chien dangereux ». C’est une erreur que les professionnels tentent de corriger depuis, car l’un n’entraîne pas forcement l'autre. Seul le tempérament d’un chien devrait être pris en compte, ainsi que leur historique. Et votre loi devrait donc couvrir TOUTES les races de chiens, et ne pas stigmatiser les pit bulls et leurs propriétaires. Je vois en cette loi l’occasion pour Montréal de devenir une ville pionnière dans la lutte contre les abus sur les animaux, en formulant une loi qui s’attaque vraiment au fond du problème: le fait que des criminels et des gens irresponsables transforment de gentils chiens (de n’importe quelle race!) en animaux dangereux par les abus auxquels ils les soumettent (affamant ces chiens, les soumettant aux chaines, coups, reproduction forcée, etc) et par leur traitement irresponsable (ne pas prendre les mesures nécessaires lorsque le chien est vraiment dangereux, par example, ce qui peut arriver avec n’importe quelle race). Si la loi est adoptée telle quelle, Montréal perdra énormément de son image de ville progressiste et tolérante. Personnellement, je n’y mettrai plus jamais les pieds, si ce n’est pour venir y dénoncer une loi absurde, obsolète et violente. Je vous en conjure, pensez aux familles que vous allez traumatiser, aux chiens innocents que vous allez massacrer. Au 21e siècle, j’ose espérer que nos sociétés, nos communautés peuvent faire bien mieux que cela! Ensemble, nous pouvons éradiquer les violences faites aux animaux, et l’irresponsabilité de certains, et qui seules conduisent aux accidents. Well, that was awkward. In June 2016, the Mayor made a big announcement on his Facebook page that he was taking a BSL to ban all pit bulls, and that families had until January 2017 to "dispose of their dogs". There was an uproar on the Internet, and the mayor made another statement (after owners of pit bulls demonstrated in front of his office! ), that he did not really mean it, that it was just a statement he had made to "shake things up". In any case, the fight against BSL in not over in Quebec City, and you can sign this petition to make sure our voices are heard. A look at the fundraisers I organized in February! Mickey is a high profile, controversial pit bull-type dog (in reality, he is an American Bulldog) who was involved in a terrible accident in 2014. He bit a child and was going to be euthanized. His lawyer got him off the death sentence, and Mickey is now locked up for the rest of this life. The circumstances leading to the accident are quite sad. In reality Mickey was severely neglected, malnourished and left tied outside all year-round with no shelter. Read the full story on my blog here. He was diagnosed with skin cancer and hip dysplasia and I am raising money to help with his vet bills. You can get yourself a nice print or magnet or button, and I will donated all proceeds to him. Please note that this is for US resident only. I have been fostering for Mr Bones & Co, a great rescue group based in New York. Recently, I welcomed Tucker into my home and the little guy stole my heart. Together we had fun photoshoots, the results of which became viral on social media. I put together a calendar, and I am selling prints as well (prints for US residents only), with all proceeds going to his rescue. Tucker has been adopted. I recently visited the MASH Unit in Phoenix, Arizona. It is an old jail reconverted into a shelter for animals seized in cruelty cases. Some of the dogs there have been waiting for 10 years for another chance in life. They all come from horrible cases of abuse and neglect. The new team at the prison is now composed of officers who have dog training skills, so things are improving a lot for the doggies. The dogs are also cared for by inmates serving short sentences for non-violent crimes. Read more about the shelter jail here. I created a calendar to raise money for this amazing place that heals doggies and people with a rough patch in life. I am also selling Flower Power prints of their dogs (for US residents only), with proceeds going to the shelter. The story of Mickey the "pit bull"
I could not pretend to advocate for pit bulls with my Flower Power project, if I didn't meet the controversial pit bulls too. Here is one of them. The first time I heard about Mickey, my eyes caught the headline of an online article: “Pit bull gets life in prison”. Somewhere, in the U.S., a dog was sitting in a jail. Apparently, he had attacked a toddler, disfiguring the child, and was later sentenced to life in jail without possibility of parole. A quick Google search revealed a website with a live-feed webcam into Mickey’s jail cell. There he was. A beautiful white American Bulldog, alone, behind bars. The fact that there was no sound on the video only accentuated the feeling of loneliness. Sometimes, Mickey would get up, wag his tail to invisible people passing by his cell, only to go back to his sitting position, often head down. I was heartbroken and angry, and for the next few days, I watched Mickey and I cried. I watched him for hours. He wouldn’t know I was there, but I needed to know that he was not alone. I see dogs in shelters all the time, and really, it’s not that different: a dog sitting in a kennel, behind bars, because of the actions of their owners. Except that for shelter dogs, there is hope of a happy ending, a family, a loving home at last. With Mickey, there would be none of that since he was never to be adopted out. I was looking at a ghost, a dog who would never walk outside again, never sleep on a sofa or run free in a garden. At least that’s what I thought, and what the articles I had read lead me to believe. I made up my mind: I would meet this dog, at all cost. And maybe, even crown him with flowers if I was allowed, for my Flower Power project. Something hit me as I watched his webcam feed: in Mickey’s jail cell, his name was written on his food bowl. Toys were dispersed on the floor. He had a cute doghouse, a comfy bed. Greeting cards sometimes covered the bars of his cell. It dawned on me: not only was Mickey not alone but he actually had a whole lot of people caring for him, including a large following on Facebook. Mickey was loved. A few months later, I traveled to Arizona for my Pit Bull Flower Power project. I reached out to the MASH Unit in Phoenix, the place hosting Mickey, an old jail reconverted into a shelter. They informed me that Mickey had been moved to a medical facility for health reasons in June 2015. If I wanted to meet Mickey, I would have to go through his lawyer. I reached out to him and we agreed to meet. We also had a photoshoot and I was able to crown Mickey. John is a lawyer based in Phoenix, who takes on lots of dog-related cases, and he is the proud dad of pit bull rescues. More than a lawyer, John has become the closest Mickey will ever be to getting a family of his own: someone who cares deeply about him, visiting him at least once a week in his boarding facility, covering his vet expenses, sharing his story and making sure Mickey’s needs will always be covered. In November 2015, I sat with John and he explained the circumstances that led Mickey to be locked up for the rest of his life: Mickey comes from what could be described as a bad neighborhood. He lived chained on one side of a 2-acre yard, surrounded by 4 or 5 houses. When the accident happened, Mickey must have weighted about 15 to 20lbs less than he should have. He had no shelter and was living off scraps and rawhide bones. Since no police investigation was conducted after the accident, this is what Mickey’s legal team was able to determine through an investigation of their own: in February 2014, two small children who were supposed to be supervised by an adult were out with Mickey. He was chewing on a bone. The adult took a phone call and left the children unsupervised. A 4-year-old boy ran over to Mickey and took his bone. Mickey growled once, the child yanked the bone back. Mickey bit the boy in the face. Did Mickey intentionally bite? Or did he mean to grab the bone back, grabbing by accident the child’s face at the same time? We will never know but unfortunately during the tragic event the child was severely injured, Mickey biting right under the orbital. The adults rushed the child to an emergency care. He will need multiple reconstructive surgeries. At the time this article was written, he’d already gone through three surgeries and was in recovery. Hours after the accident, the adults came back for Mickey and brought him to a local police station, asking that he’d be euthanized. Soon, the story was making headlines in the media, not just in Phoenix but nationwide. Mickey was labeled “a pit bull”, “evil” and called “the devil dog” by some media. Another vicious pit bull-type dog, responsible for a horrific accident. Vicious? Responsible? 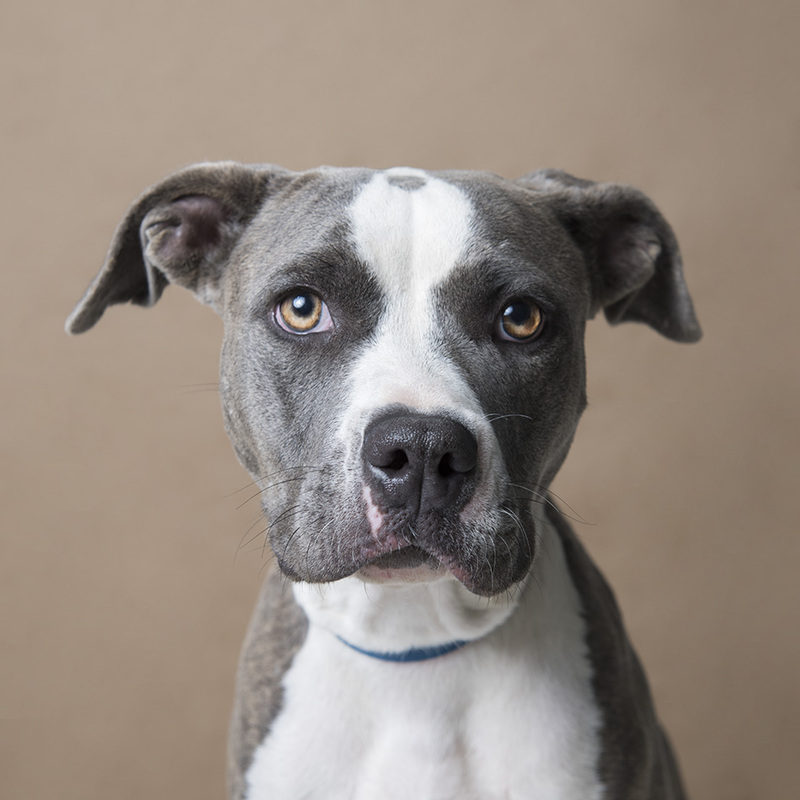 Mickey became a symbol, dividing people on the pit bull issue once more (even though, technically, he is an American Bulldog, one of the breeds often mislabeled “pit”). To this day, the people involved in Mickey’s case still get “hate mail”, as well as a few death threats, which were investigated by the Police. Mickey’s case also rallied people who believed he was a victim, just like the child, and begged for leniency, a petition reaching nearly 70,000 signatures. They believed Mickey’s owner should be held responsible, for placing Mickey in an impossible situation, and setting him up for something tragic to happen. The Lexus Project, an organization that provides legal aid to dogs, reached out to John and asked him to represent Mickey. 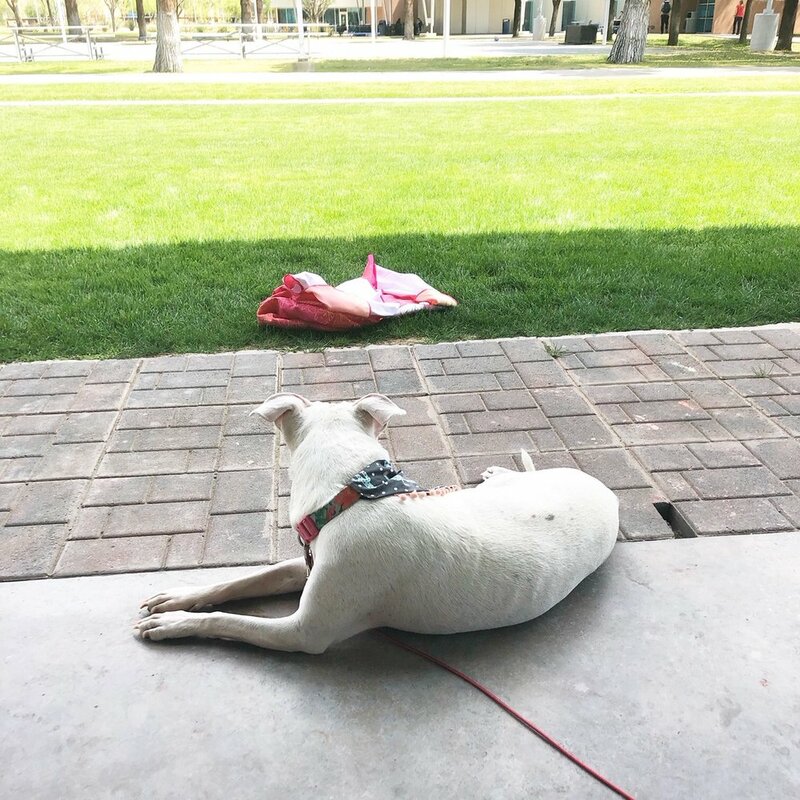 “They told me there had been this horrible accident in Phoenix involving a pit bull, that they didn’t think I could win the case, that it would probably break my heart, but wanted to see if I’d give it a try”. John agreed. A “Vicious Dog Action” was brought up against Mickey, but the judge declared that John could only represent Mickey after she had ruled on whether or not he was vicious. The judge determined that Mickey was vicious, and the death penalty was on the table. At sentencing, John managed to convince her not to kill Mickey, if proper sanctuary could be found for him, for the rest of his life. That’s when Sheriff Joe Arpaio from the Maricopa county offered to take him into his MASH Unit, a former jail turned shelter (which I visited as well, see my other story here). Mickey stayed a little over a year at the MASH Unit. There, his kennel was a reconverted jail cell, and that’s where the webcam was placed, allowing his thousands of fans to follow (sometimes, more like “monitor”) his daily activities. I asked Officer Keeney from the MASH Unit to tell me more about his encounter with Mickey, and the work they did together for the year he spent there. Officer Keeney is also a dog trainer, so he was the one to evaluate Mickey upon arrival at the shelter, and the one to train and rehabilitate him over the next few months. "I met Mickey at the door when John walked him in, Officer Keeney told me. We went straight to my personal evaluation. There is a look you can see in a dog’s eyes when it’s apprehensive, fearful, or aggressive; Mickey showed none of these signs. He played around with me and I began a few temperament tests on him. Touching his mouth, grabbing at his paws, rolling him over on his back. He was a happy dog, though very malnourished”. At first, the shelter staff were a little worried about the kind of dog he might be. That soon changed when they discovered the happy dog he was, and got their share of slobbery kisses each time they saw him. So did Mickey need rehabilitation? Was he a “vicious dog”, as he’d been legally labeled? Officer Keeney recalls the year they spent together, working on leash manners and dropping food or toys, not rushing through doors, dominance training around other dogs, etc. “Mickey is one of my favorite dogs that have ever come to the Unit and one of the best dogs we’ve ever had, Keeney told me. I miss him every time he is brought up in conversation. He was about as dangerous as a fruit fly, not a bad bone in his body. I could even put my whole hand in his mouth and take food out of it, while he was eating! It’s amazing how a dog will act when he is actually being well cared for! I full heartedly believe Mickey was a victim of animal neglect/abuse and the victim of just really bad circumstances”. In June 2015, Mickey was diagnosed with skin cancer, having spent the first years of his life tied outside, left in the harsh sun of Arizona with no shelter. He was moved to an undisclosed medical facility to undergo treatment. No webcam, this time, and the location of the facility will not be revealed, so that Mickey and the people that care for him can be left in peace. I was told by John, his lawyer, that Mickey gets about 6 to 7 interactions with humans per day. His room is always full of toys – something I witnessed when I visited him! All in all, Mickey is spoiled and, according to the people in charge of his care, in a much better place than he was with his previous owner. When I met him, he seemed a little under the weather and was diagnosed shortly after with hip dysplasia, which he is now being treated for with medication. His lawyer John is the one covering his medical expenses. I hosted a print fundraiser to help Mickey and John, and raised $1,700 for his vet account. Throughout this experience of meeting Mickey, his lawyer/caretaker John, his trainer Officer Keeney, and reading about his case, many questions haunted me, some of which will remain unanswered: Are our judges and legal system equipped to determine whether or not a dog is really vicious? Had Mickey been from a different breed group, not a “pit bull-type dog”, would the story have been so controversial and the discussions heated? Would the outcome have been the same for Mickey? And last, but not least: is it fair to keep a dog locked up for the rest of his life? Even if all in all, his quality of life is much better than what it was when he was tied outside and neglected? I asked that last question to John: “As long as Mickey has a good quality of life, euthanasia is off the table. Mickey has been the most difficult case I have taken, John told me. And when I asked him why, the lawyer’s voice choked up and his eyes watered: Because he can’t get out. It’s hard to see him and to know that he will never get out. I would love to take Mickey home but I can’t. He has never shown any propensity to bite. I feel really bad for him because I just don’t see it in him that he attacked the kid. It was purely an accident. And unfortunately now he has been labeled a vicious dog. I choose to care about Mickey. I feel bad for his situation and what’s happened to him, and to the boy. But if I don’t care for Mickey, who will? If I did not stand up for Mickey, he would be dead. That’s the bottom line. He is my responsibility”. And that’s probably the lesson here, that all of us carry a responsibility toward dogs. Some call them “the voiceless”. Thanks to John and thousands of people around the country, Mickey had a voice. And despite the tragedy of his case, what benefit is there to place the blame on the dog? Dogs don’t understand our technicalities and judicial system. Dogs understand training, compassion, rules we teach them. Dogs understand kind hands that care for them and feed them. A mural by Gina Ribaudo greets the visitors of the MASH Unit. Officer Keeney and one of his proteges, Tiger. 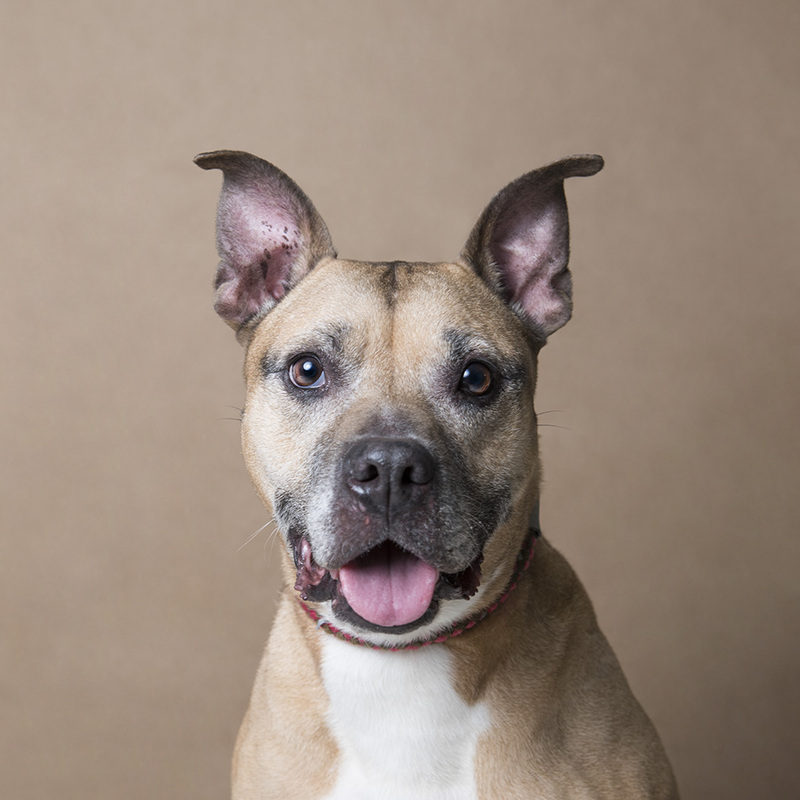 During my recent #PitBullFlowerPower trip to Phoenix, Arizona, I visited the MASH Unit and photographed some of their adoptable dogs – including some long-timers who have been there for several years! The MASH Unit is a very unique shelter, hosting animals who have been the victims of severe cases of neglect and abuse, most of which are on “court hold”, seized as evidence when their owners are charged with a crime. If the animals are not signed over by their owners, they can end up sitting as live evidence for months or years, before the MASH Unit actually gains ownership of them and is able to place them up for adoption. To say the Unit deals with difficult cases is an understatement: from hoarding situations, puppy mills, to the worst cases of animal abuse, the list is long and terrifying. Jail cells have been reconverted into animal kennels. The particularity of the MASH Unit is that the shelter is actually a 30-year-old jail that previously held inmates, but was closed in 1999 and transformed into an animal shelter instead, and it is run as an inmate program by the office of Sheriff Joe Arpaio, of Maricopa county. Scooby greets us from his cell. Some of the cat residents. One of the dog residents. Part-shelter, part-jail, the MASH Unit is quite unique. An inmate walks a dog back into his jail cell / kennel. I had the privilege to spend a day with the MASH Unit photographing some of their adoptable dogs, and to chat with Officers Keeney and Sibole about the wonderful work they do there, and witnessed how much pride they take in their mission. Not just for the dogs, but for the humans too: “MASH is an inmate program. It is not just for the animals’ rehabilitation but also the inmates’. We see a lot of healing for the inmates too, here. They get to come and receive individual responsibilities. Some inmates are crying when it’s time for them to leave”. Officer Sibole shows us around. We also talked about the plea of pit bulls in Arizona, the devastating effects of BSL (Breed Specific Legislation) and the portraying of pit bulls in the media. The MASH Unit used to host Mickey, a highly publicized dog I was able to meet and photograph during this trip too. If you would like to see more about the work the MASH Unit does, follow their Facebook page, and click here for a great video about the work of the MASH Unit and the inmates (the video is not by me). Meet the doggies I photographed that day! Many of them wore flowers, I'll post the results on my Instagram. Most of these doggies are still waiting for homes, so please contact the MASH Unit for more info: 102 W Madison St, Phoenix, Arizona, (602) 876-1212. Also, please consider a donation to support the outstanding work the MASH Unit is doing, both for the animals and the inmates themselves. They welcome donations to care for the animals on this page. They also have an Amazon Wishlist. Mackenzie and I, posing in front of the MASH Unit's mural. This cute little girl had been rescued as a puppy. She has been adopted since! Baby and I having a moment. Baby is a young pup who was abandoned, heavily pregnant, with her mate Clovis. She also had valley fever. The holidays are fast-approaching and with them, the excitement and anguish associated with finding the perfect gift for that special someone! Here is a list of items featuring my work, that are sure to bring smiles to your holidays, and make your gifts stand out. This weekend is #ShopSmall, an initiative encouraging people to shop local and support small businesses. There is something very uplifting about buying and gifting unique products developed by your local creative community... And thanks to your continued support, this year I have been able to photograph over 500 dogs in shelters for free! I am beyond grateful and will continue to use my voice and art to promote animal adoption and a fairer treatment of all beings. From your grumpy aunt, the one who is impossible to please, to that cute kid with a communicative laugh. This collection of soggy doggies is sure to be a hit among all generations! More info on this page. $22, in book stores and online. 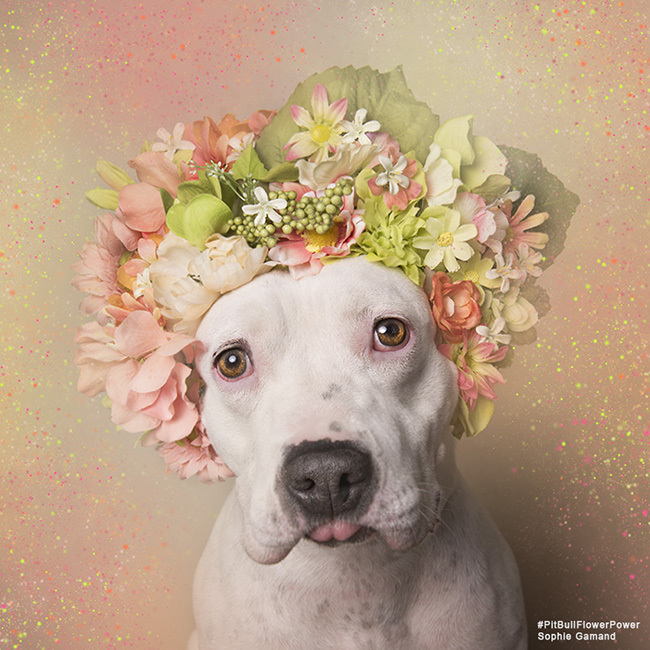 Flower Power features pit bulls from shelters wearing flower crowns. I don't think it gets better than that, do you? Most of these dogs have been adopted, but some of the models from the calendar are still hoping for a home to call their own. 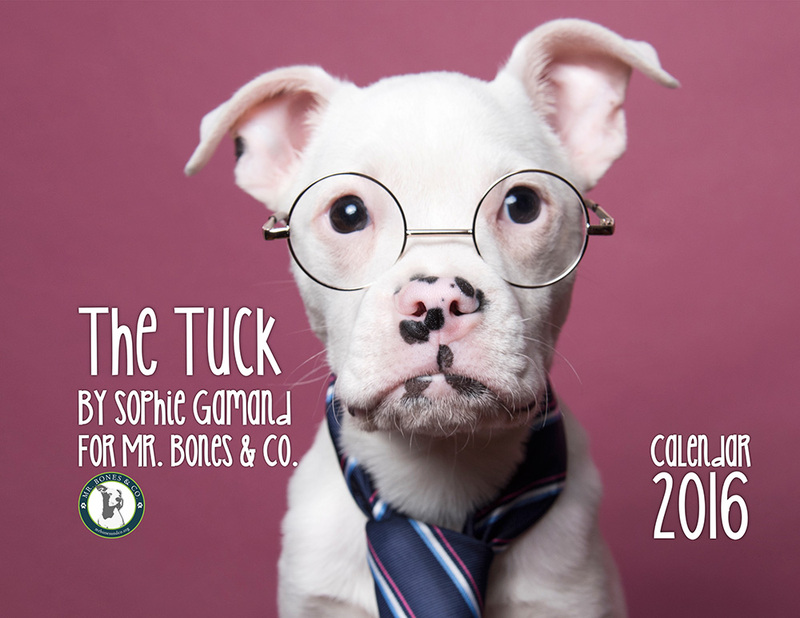 The calendar helps me fund the project and partial proceeds benefit rescue groups. $30 online only. Get 20% off from Nov 25 - Dec 01. International shipping available. I have created a small selection of scarves featuring some of my most memorable Flower Power portraits. These scarves are gorgeous, and feel very luxurious. I wear them all the time and get compliments everywhere I go! A perfect gift for the trendy girl, or even a lady. Once the scarf is wrapped around you, all you see are the beautiful colors and tones. Unwrap to reveal the glorious portrait! You can also wear it by the pool! $69.72, several designs available, online only. International shipping available. Don't miss the special black Friday sale, 20% off! My Wet Dog and Flower Power portraits are available as affordable prints and canvases. Prices range from $30 to $240 depending on size and type of prints. Available online only. U.S. only, contact me for international options. Those Flower Power tote bags are the talk of the town! Carry your groceries in style or use them as everyday bags. Just be ready to answer questions when everyone will be stopping you "oh my god where did you get that bag?!". I get that all the time! Available online only. Prices range from $31.28 to $40.64 depending on size. International shipping available. Don't miss the special black Friday sale, 20% off! Another obsession of mine! I use those for art supplies, even as a purse in cool events in New York. I use them to store small electronics away, or as a make-up pouch. The larger size can accommodate an iPad! Available online only. $36.66 to $40 depending on size. International shipping available. Don't miss the special black Friday sale, 20% off! Spend the year 2016 giggling with those miserable, adorable soggy doggies! Available in stores or online. Retail price: $14.99. Currently $8.52 on Amazon. International shipping available. 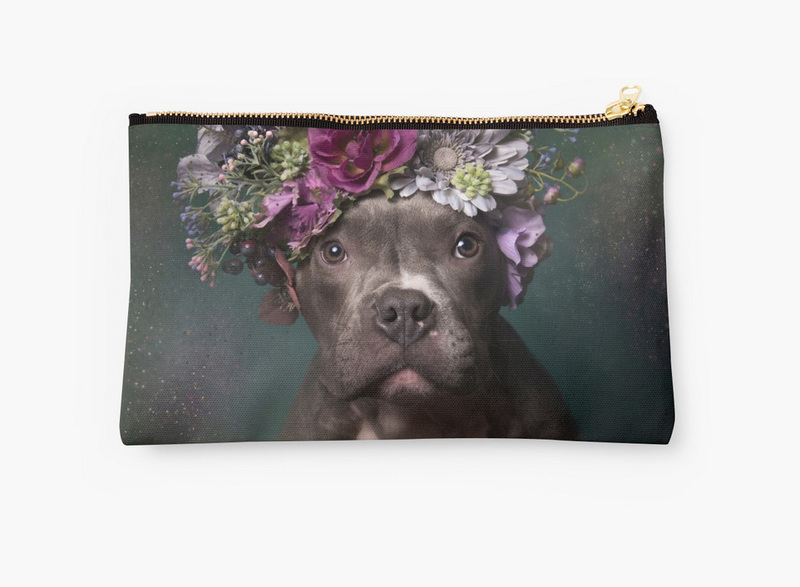 Another great way to spread the word about pit bulls and the #PitBullFlowerPower campaign! Available online only. Price ranges from $35.54 to $67.60 depending on size and if you order an insert or the case alone. International shipping available. Don't miss the special black Friday sale, 20% off! My Wet Dog book and calendars are also available in other countries, in the language of the country: Wet Dog in France, Wet Dog/Nasse Hunde in Germany, Nasse Hunde calendar in Germany. You can sponsor a flower crown for a deserving pit bull in shelters! Paypal $20 to contact@sophiegamand.com and indicate in the message box the name of the person (+ their Instagram account if they have one, and yours) and any personal message you would like to add. When I share the portrait on Instagram, I will post the sponsor info! Available through Paypal only, $20 per crown. The galley Adrien / Kavachnina is currently displaying Flower Power in their brand new space Rue du Faubourg Saint Honoré. Flower Power is one year old! Flower Power is a year old! I thought it would be fun to put a chronology together, and reflect on how amazing the journey has been since August 2014! A year ago, in July 2014, I decided to do a "quick summer project" with local shelters. It had been a few months I had wanted to create a series involving pit bulls, so I could get to know these misunderstood dogs better. Admittedly, I had my own apprehensions around pit bulls. Volunteering at shelters I would often photograph them, and could not help but tense up around them. One day I decided to confront my feelings and see for myself what the hype was all about. Were pit bulls evil flesh-eating monsters? Or were they absolute angels? Or were they, and this seemed more credible, just like any other dogs, animals with their limitations and needs? For a few weeks I obsessed over the idea of a pit bull series. I wanted to create something different. 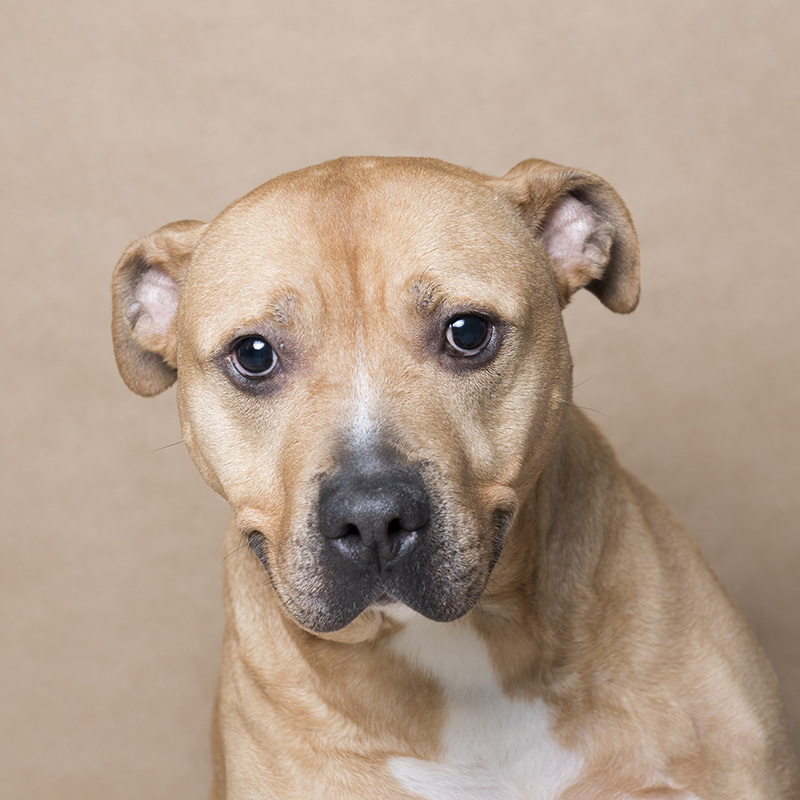 I knew I wanted to work with shelter pit bulls, in the hope the portraits would also help them get adopted. I had just finished photographing my Wet Dog book (coming out on October 13th!!) and was aspiring at a series that would involve more manual work, gluing things together, painting. One night, I was thinking about how to photograph pit bulls in a new way and the idea of using flower crowns came to me. I had never made a flower crown before, and never photographed a dog - let alone a pit bull - wearing one... So the idea seemed a little crazy but the next day I was purchasing flowers and my first glue gun ever! I mentioned the idea to my friend Samantha Gurrie, a dog lover and wonderful writer, and she immediately offered to help me source the models, and since she was an active volunteer of Sean Casey Animal Rescue, a shelter with lots of adoptable pit bulls, we thought it the perfect place to start. On July 17th, 2014, I set up a studio at Sean Casey's shelter. I had built a few crowns and when I opened the suitcase, I was met with suspicious looks from some of the volunteers there (the guys, namely!). Ally Andriolas, the shelter manager, welcomed me with open arms. She understood the creative process, and that it was my first attempt. I am forever grateful for people like her, patient and understanding with us - crazy artists with strange ideas. Sam, Ally and I worked together tirelessly that day, photographing my very first pit bull flower models. Without these two incredible women, there would be none of this. Baby, Sean Casey Animal Rescue. Adopted. Putting the first crown on Baby, I was unsure on how the images would turn out. I was certain the dogs would knock the crowns off their head instantly or freak out. After all, these were pit bulls! Maybe they would even try and bite me? Remember I still had apprehensions about them. Approaching the crown from Baby's head, I had to brace myself. Our faces were so close I could feel her warm breath on my face. I swiftly secured the crown and stepped back, looking at her. She did not move. Instead she stared at me with her big golden eyes as I promptly grabbed my camera. I was worried I would lose the moment, but Baby sat there. Peaceful. Confident. Baby gave me the chills. She was so dignified and gorgeous. Sweet, trusting, magical. At the first click of the camera, I knew I had something incredible happening before my lens. Cali, Sean Casey Animal Rescue. That day, I captured several flower portraits, including the one of Cali, which later became the most known Flower Power image. Although I had wanted the series to be a collection of moody portraits, Cali's smile was contagious! She became my first smiling Flower model. Fancy, Second Chance Animal Rescue. Adopted. Two weeks later in July I met with Jennifer Brooks, President of Second Chance Rescue. She welcomed my project and I photographed more flower dogs. It was nerve-wracking to wonder: could I reproduce the magic that had happen on my first flower shoot? But again, I was amazed at how well the dogs were doing with the crowns. Obviously, these shoots take a lot of work and I could not do them without the precious help of wonderful staff or volunteers who handle the dogs for me. But what struck me the most was how well the dogs were doing! My crowns became more elaborate, too, as I got more daring with sizes, and more intricate designs. Early August 2014, I added a few more faces to Flower Power, thanks to the awesome team at Animal Haven, a shelter where I had been volunteering for a few months. Dharma, Europa, Lucy, and my first Flower puppy Rome joined the flower family. And it was a man, Mantat Wong, director of operations at the shelter, who helped me secure flower crowns on the dogs and capture those sweet faces! After this third shoot, I was ready to release the images to the world. Coincidentally, it was Pit bull awareness week on the Huffington Post, so I submitted my project and they were thrilled to publish it a few days later. Arin Greenwood wrote a wonderful piece on Flower Power, which went live on August 5th, 2014. After this, things snowballed. Many other media outlets picked up the story, and what I intended as a "quick summer project" became huge and a full-time occupation! The images were extremely successful on social media, and the shelters received lots of attention too. People started asking me for a calendar. I was happy to oblige, and offered the proceeds to the shelters. I just needed one more portrait from Second Chance Rescue. Jennifer came over to my apartment with Baby, a huge big mush. If you think pit bulls are impressive, you should have seen him walk into my apartment. I think I gasped. That day I realized for the first time I did not have apprehensions around the dogs anymore. I was getting more comfortable with pit bulls, which allowed me to be open to their personality and charm. The Flower Power magic had operated on me. I was hoping other people would have the same reaction too. The shoot was amazing. The crown reached epic proportions. I knew Baby could handle all the awesomeness. After his portrait, I had enough Pit Bull Flower Power images to create a 2015 calendar. The calendar helped me raise money for the shelters, finance the crowns and also helped spread the message even more. Someone emailed me to tell me they had teared the calendar apart, stuck all the images on the wall of their daughter's bedroom, because, "she had said she wanted to wake up to these faces every day". Brownie, Hempstead Town Shelter. Adopted. Early September 2014, I answered the plea of Hemsptead Town Animal Shelter. Located on Long Island, they have about 200 dogs in their care, most of which are pit bulls. Many long timers, too. Like Brownie who had been sitting there for two years with no interest from potential adopters. I spent the day at the shelter with their rescue coordinator Emily Tanen, who was instrumental in getting me there, and a wonderful handler (Nick). It was great to meet a guy who took the flower crowns as seriously as Nick did! We photographed 30 dogs, most of them with flowers. It was the most exciting - and exhausting - day! Later on, Emily shared the photos. Brownie's was first. Her portrait had come out really lovely. Very touching. Emily added a heart-breaking text presenting her story, and a desperate call for action. It went viral. A couple of weeks later Johnny adopted Brownie upon seeing the photo on social media. As a matter of fact, Brownie received so much interest that other dogs got adopted by people who came to the shelter to meet her! Brownie's story validated the entire Flower Power project. I received similar stories from other shelters, dogs being adopted, or people coming in to volunteer, meet and walk the Flower Power models! I felt as if a revolution was happening. Something had shifted. I was receiving an outpouring of support from all over the country, then the world. Even my husband, a cat person, told me he stopped feeling the urge to switch sidewalks when crossing path with a pit bull. Instead, he said, he just wanted to snuggle and kiss their sweet faces. I gave many interviews, and Flower Power got featured countless times. If you have a look at my press section here, you'll get a sense of the magnitude of the event. I literally spent the following 6 months discussing Flower Power with journalists. I also created the hashtag #PitBullFlowerPower, to bring people together. Today, Instagram has over 5,000 images using this hashtag! Instagram themselves featured me, followed by Mashable that released a great video piece about Flower Power. Flower Power was also featured in numerous publications, including Oprah Magazine! More rescue groups and shelters joined the campaign (The Sato Project, Motley Mutts Pet Rescue, Mr Bones & Co, Rebound Hounds, Redemption Rescues Inc., to name a few). Then in November 2014 Mrs Sizzle invited me to come photograph dogs at Brookhaven's Animal Shelter. They had lots of pit bulls, many long-timers. I built about 60 to 70 crowns and spent two days at the shelter. We photographed 60 dogs, many with flower crowns. Since then, I have continued photographing Flower models. You can see the complete list on this page. More than half of these dogs have found homes, but many are still waiting. Flower Power keeps being featured in media, and has graced the covers of prestigious photography magazines around the world (including Italy and Korea! ), as well as won awards! Last June, I was honored by two of my favorite organizations for Flower Power: Mr Bones & Co at their annual event Rescue The Runway ("Hero of the Year" award), and Animal Haven during their annual benefit (Leonard Simon Award). I feel like the message is being spread far and wide. A message of love and understanding. And it's thank to all of you who have been by my side the whole time. My dream is that people stop being afraid of pit bulls, so that pit bulls stop attracting owners who just want "a scary dog". If we can break the cycle, I believe we can change the way we treat pit bulls. Did you know that America euthanizes upward of 1 million of pit bulls every year? (out of 1.2 million of dogs total). Don't get me wrong, I don't mean everyone should adopt a pit bull. Actually, many of us shouldn't. They can be strong dogs who need experienced owners. But most of the pit bulls I meet are wonderful, regular dogs, who just need an open-minded person to come their way. I also strongly believe that we cannot go on the way things are. Pit bulls are beautiful creatures who deserve more from us. They deserve more than being produced irresponsibly and discarded the way they are being right now. What does the future hold for Flower Power? I am currently working on the 2016 calendar. There will also be a large exhibit of the series in Paris from September 17th to October 12th (Adrien/Kavachnina gallery). I also would love to organize a road trip in 2016, crossing the U.S. from East to West and stopping at shelters to photograph models in various states and cities. And then hopefully make a beautiful book out of the adventure. So stay tuned and if you would like to be involved: as a shelter or rescue group, or if you have an amazing pit bull who overcame all odds, or if you have a lovely B&B that could accommodate me while I'll be on the road, or if you work for a nationwide corporation that might want to sponsor the project, or... well, you get the picture..., contact me! Shelter Shoot: 500 dogs photographed since October 2013! I was at Animal Haven this week for another shelter shoot and it was a big day! I realized I photographed 500 shelter dogs since I started volunteering in animal shelters in October 2013!! I thought I'd celebrate with a post. Doggie number 500 was actually a perfect candidate, as his story is so powerful! Titan is a German Shepherd who has lived with the same family for 12 years. Unfortunately, facing financial hardships, his family decided to surrender him to the care of Animal Care and Control of NYC. The ACC then placed Titan with one of their rescue partners, Animal Haven, who renamed him Hero, in honor of his heroic past: Hero had saved his previous family from their burning home in the middle of the night by alerting them of the fire! When I photographed Hero a couple of days ago at the shelter, he was quite in shock. As you can see from his portrait, he was a bit sad. He is a very sweet 12 year old doggie, but you could tell he didn't quite understand the whole shelter thing and how he had ended up there. Today though, I received the wonderful news that Hero was adopted! I could not have dreamed of a better way to celebrate my personal achievement (500 dogs photographed in shelters) than with this beautiful success story. A huge congrats to the ACC and Animal Haven, great team work! Now Hero, enjoy the rest of your life with your new family! Collarati is an awesome dog collar brand based in New York. Chrissy Mac, the artist behind Collarati, is also the founder and president of the Doberman Gang of New York. Her pack leader Lucy modeled during a fun shoot. All the collars are from Collarati. Visit the store here. Doberman cuff watch is a collaboration between Collarati and East Side Collars. It is available for sale via Collarati. Just shot a fashion test. It was fun! I had to include a dog, of course! Inspiration was Miles Aldridge meets Madama Butterfly. I recently shot a Wet Dog session with one of my favorite models, Benji, for PureWow the coolest blog! (Video content sponsored by Delta Faucet). Benji was such a trooper. My Wet Dog book is coming out in October with Grand Central Publishing, and I cannot wait to share more news with you! For now, you can enjoy a sneak peek, in this video, of some of the new pics I shot for the book. The Dobbie Gang of NYC are officially Good Citizens! 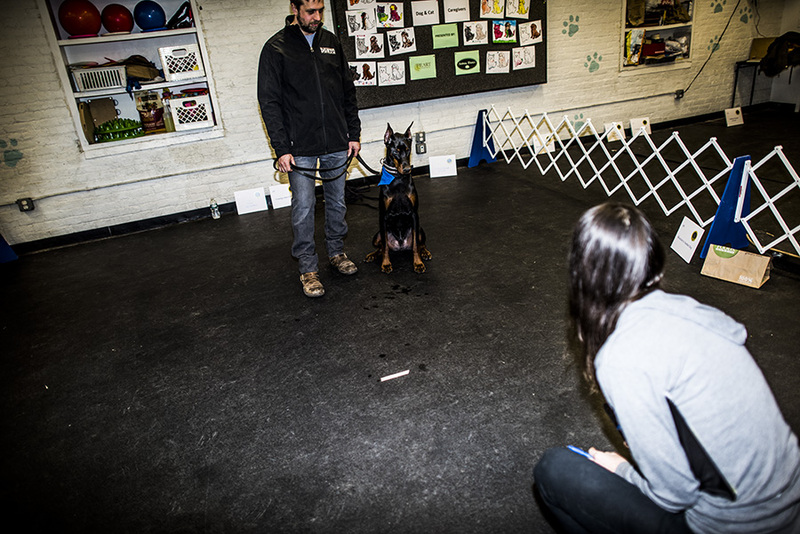 I hung out with the Doberman Gang of NYC as they gathered to pass the AKC's Canine Good Citizen test. Started in 1989, the CGC Program is designed to reward dogs who have good manners at home and in the community. The Canine Good Citizen Program is a two-part program that stresses responsible pet ownership for owners and basic good manners for dogs. All dogs who pass the 10-step CGC test may receive a certificate from the American Kennel Club.